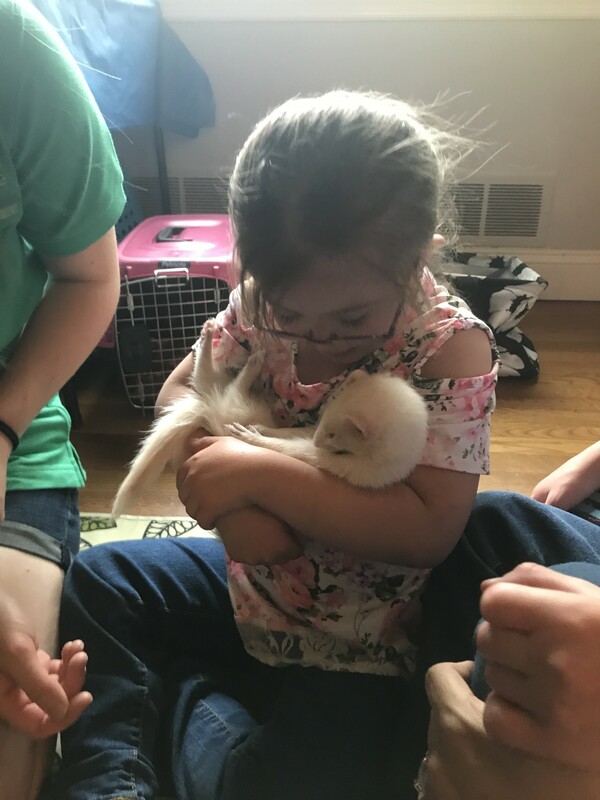 Ferrets and Friends, LLC is licensed by the USDA and has about 45 animals available for parties, school programs, summer camps, community events, and more! We have creepy-crawly millipedes and tarantulas to fluffy and snuggly bunnies and ferrets. We have colorful and talkative parrots as well as intimidating large lizards and snakes. From wandering tortoises to jumping frogs, there’s sure to be something to please everyone! The team did a wonderful job sharing lizards, snakes, a bunny, a parrot and ferrets with a rambunctious group of kids. Several in the group have special needs and have difficulty with comprehension and impulsivity— the team handled them all with ease. Thank you for making my child so happy! 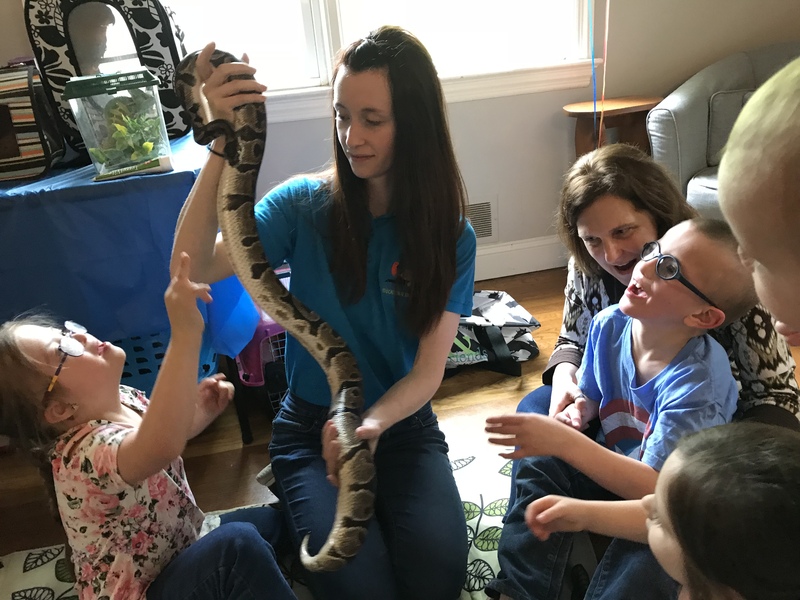 We had a gaggle of adults and even more kindergartners for our visit from ferrets and friends, but it was no problem for the presenters to keep things under control while giving an amazing and educational presentation. These animals are clearly well cared for and happy in their educational roles. Thank you! We are happy that your guests enjoyed themselves! I highly recommend Ferrets and Friends for your next event. We used them for a work event and they were awesome! They brought more animals than we expected, the handlers were very nice and knowledgeable. Everyone had a fantastic time! We hope to use them again in the future. Thank you so much for your kind words! We look forward to working with you again. 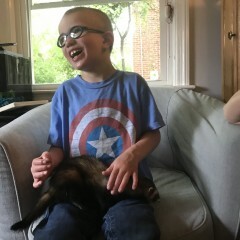 We hired Ferrets and Friends for a birthday party at our home with a mixed group of children to adults. The show was perfect for our turtle obsessed 5 year old. The staff gave great information about each animal and allowed everyone to touch each animal that was safe to touch. I was also impressed with their classroom management abilities, as sometimes our group became a little too excited. They are awesome! Our camp kids loved them!!! Awesome animals & Amazing Staff! 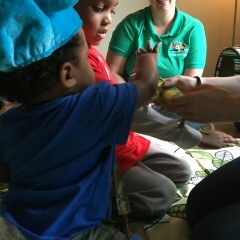 Ali and Dre came out to our monthly respite event for military families. They did an amazing job keeping the children focused and excited about the animals. We had children of a range of ages, and they did an awesome job engaging them all. The presenters did a good job showing the animals that they'd brought, but I was disappointed by the selection of animals they brought with them. For example, there were no mammals or birds. I'm sorry to hear you were disappointed with the animal selection. Although we normally include mammals and birds in our presentations, with less than a week's notice we tried to create an interesting presentation with the animals we had available. We apologize for any miscommunication about your expectations for our show. Please note that in the future, you can specify what animals you're looking forward to seeing so we can be sure to plan accordingly. Thank you for booking with Ferrets and Friends! A BIG THANK YOU to the team from Ferrets and Friends! We appreciated your professionalism and ability to juggle the little critters and 10 inquisitive little kids. My daughter was thrilled with the show and we took great pictures with the animals. A truly memorable birthday party!!!!! This was the perfect event for my two year old's birthday party. 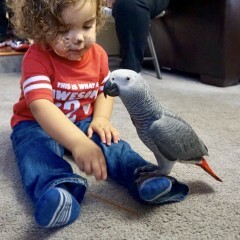 He loves animals and had a blast. The older kids learned do much - and the adults too. They were both awesome!! Great animals. Thank you, Nicole! It was a pleasure working with you! The show was great. The kids and teachers loved it. We loved the company Ferret and friends they really engaged with the kids. The animals were amazing and very interesting. My party was a tough one with a bunch of small (~5 year olds) kids. The presenters did a great job with the initial presentation event (~40 minutes). After this, I paid extra to have them do another hour where they would explain how to handle the individual animals. Somehow it wasn't fully communicated that this next hour would be only with small groups of about 3 kids or so. So, all of a sudden, I had to improvise entertainment for the other kids on the fly. Again, it could have been my fault for not fully understanding how that last hour would go, but it was something that I most likely would have prepared for had it been clearly communicated. It worked out, and I got good reports from the parents afterwards. Overall, it was a good experience and the Ferrets and Friends were neat, on time, and cleaned up after themselves. They were also able to work in the fairly cramped conditions of my home. So I want to rate them positively, but still mention my particular difficulty. We are sorry to hear that your experience did not meet your expectations. 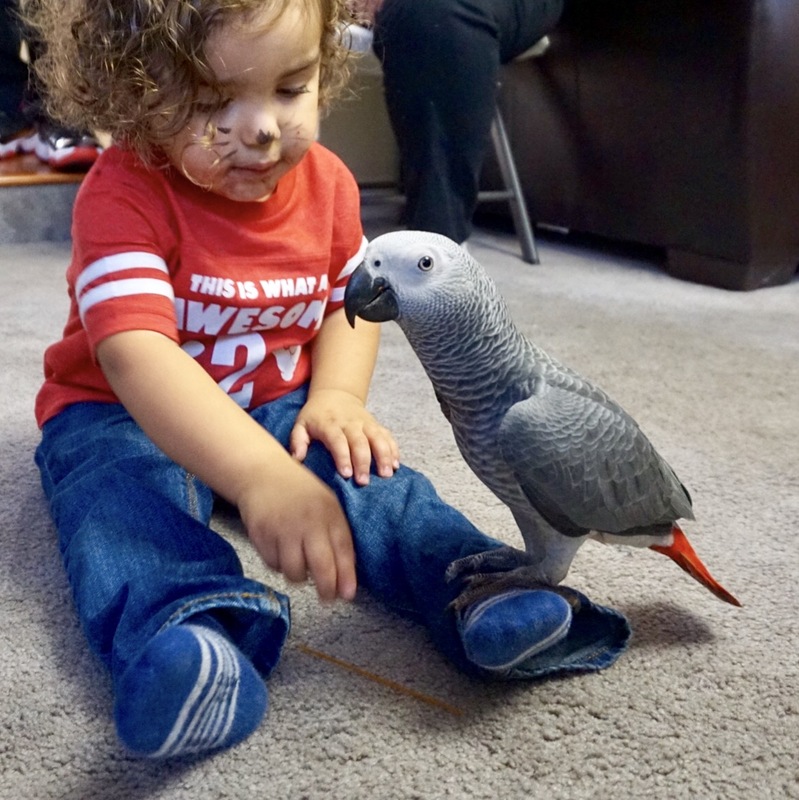 We don't normally limit the meet-and-greet to small groups, but it was necessary in this case given the space constraints (so that the animals are not overcrowded while being handled by individuals with whom they are not familiar). We apologize for the inconvenience and appreciate your creativity in helping create a better experience for your guests and our animal friends. Please give us a call so we can issue a partial refund for your troubles. The international theme was a big hit! 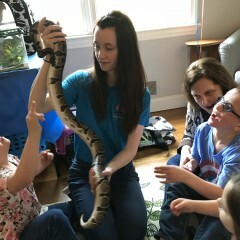 Ferrets and Friends came to my sons 4th birthday party and did a great job! The kids were entertained the entire time and loved the variety of animals. Would definitely recommend. We hired this company for our Easter Celebration. They were on time and very professional. Presenter handled the children perfectly. Children aged from 4-12 were super thrilled. Great in home event. 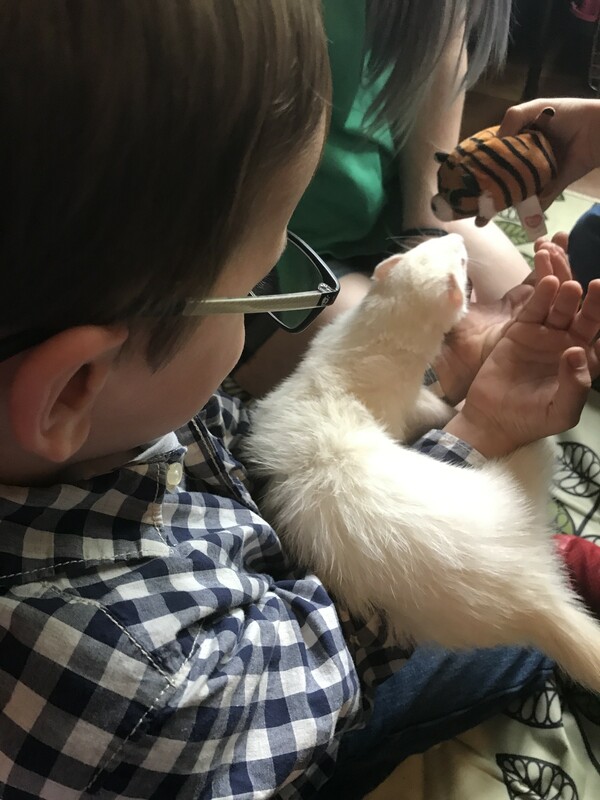 We had Ferret and Friends at my 6 and 8 year old's birthday party and a great time was had by all. The kids loved the variety of animals and the interaction with them. 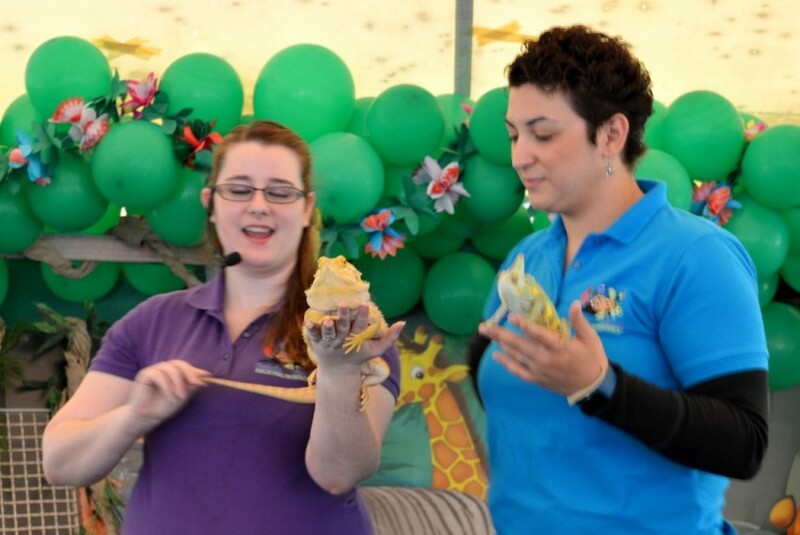 The ladies that came to provide the animal entertainment were great with the kids and provided a fun environment. Ferrets and Friends put on a show at the Forbush School in Glyndon. I was impressed with their poise in handling situations in which students were unfamiliar with animals. The entertainers and animals were prepared for anything! I will invite this company to return to our school so that we can view each of their programs. Thanks, Paul! We look forward to working with you again! Ferrets and Friends did a great job! They were awesome at accommodating to our special needs kids! Would highly recommend. We hired Ferrets and Friends for our sons 2nd birthday party. 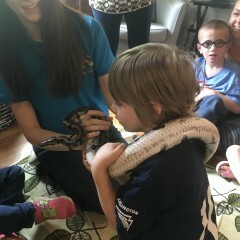 He loved the show and interacting with all the animals/reptiles. The staff did a great job with the young crowd and parents at the party. I would highly recommend them! 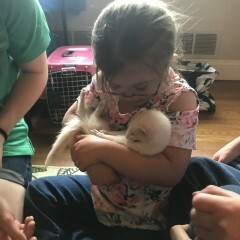 My 5 year old is all about animals and loved it! Everyone had a good time, both kids and adult; and we all learned a lot. Lina, Bethanie, and Dre were great at managing a room full of excited and sometimes noisy people. I wasn't expecting how much physical interaction we would have with the animals, but it was amazing. Thank you! Wonderful show - highly recommend! We hired Ferrets and Friends for my daughter's birthday party in our home. Everything was outstanding - we couldn't have been happier! The people running the show couldn't have been nicer and were GREAT with kids. They were very knowledgeable about all of the animals and answered all kinds of questions from the audience. The animals themselves were a treat - the kids (and parents!) were so excited to meet each one. 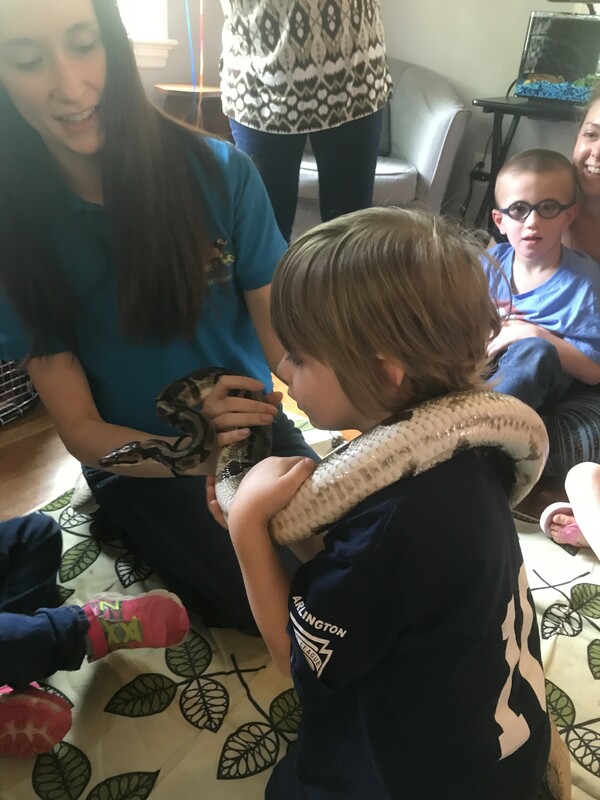 This was a very up close experience for the kids which they LOVED - they all had a chance to touch each animal and sometimes hold them. 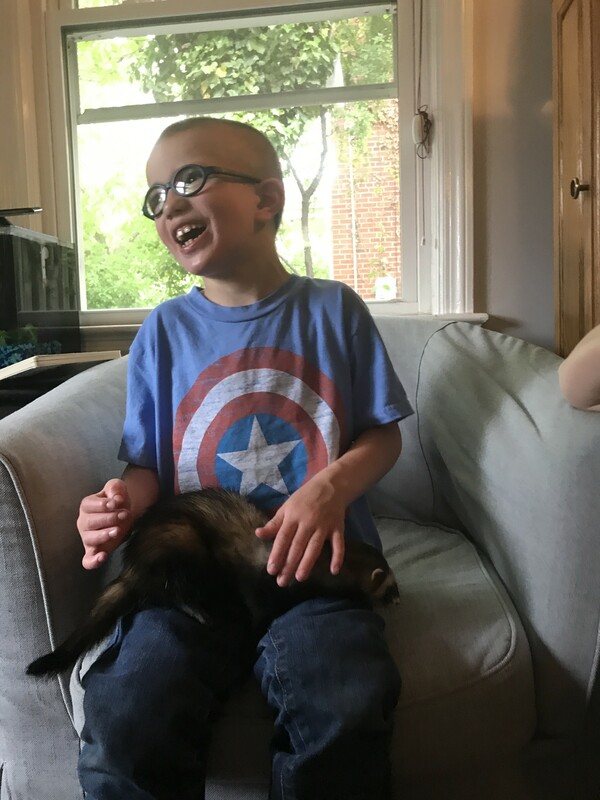 I had several parents tell me this was the best birthday party they've ever been to - I highly recommend Ferrets and Friends! Thank you so much for a perfect fifth birthday. We wanted a memorable experience and this was beyond our expectations. Both our hosts and their animals were amazing. All of the children AND their parents and at least one grandma were thoroughly entertained and engaged. Everyone was so engaged in the presentation. The personnel could not have been more entertaining or professional. I highly recommend them for your next event!! I hired them for my 2 year olds bday party. They were on time and flexible, they allowed us to pick what animals to bring, even though I just went for their judgement on animals best for toddlers. They interacted very well with the children, and the children with the animals. 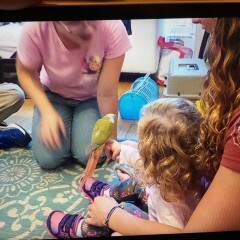 The favorite was one of their small parrots which the two year olds were able to hold on their fingers. Another fun animal was their albino Python snake which everyone including some teen family members got to hold for a photo. My favorite was the chameleon and bearded dragon. The amount of time for the entertainment was perfect. Overall great experience. The absolute best party ever!!! 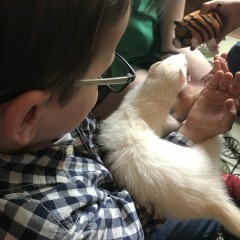 Ferrets and Friends came to my little boys' birthday party! They were awesome! It was a large party, but they handled it with ease. The animals were so much fun, and our animal specialists were fantastic. I would absolutely recommend Ferrets and Friends to anyone looking for a fabulous party idea. Miss Alex was amazing! She was very knowledge about her animals, so it was fun and educational for the children. The kids had so much fun and loved all the animals. 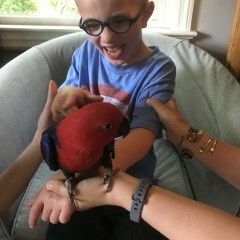 Miss Alex even helped me train my bird. Couldn't have been happier. The children had a great time.The facilitator was wonderful, very patient and was able to keep all ages entertained. Thank you so much. Thank you so much! It was a pleasure working with you :) The children were delightful, and it was wonderful to have so many adults participate as well! Ferrets and Friends was awesome! The staff at F&F was so friendly and helpful. Our guests are still talking about how much they enjoyed themselves. We will be using them again! Something New and the Residents Loved It! 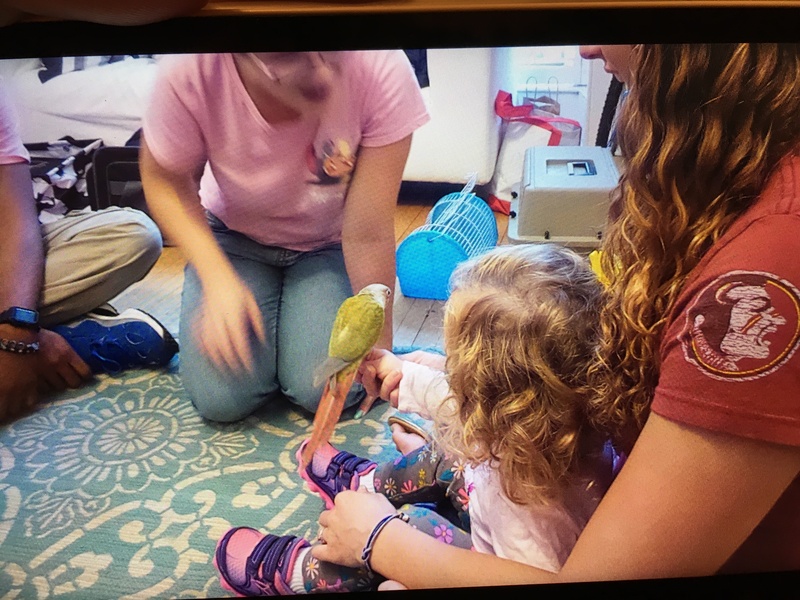 Mount Vernon Place Early Learning Center very much enjoyed our visit from Ferret & Friends!!! We enjoyed meeting the animals and their handlers. I think the best part involved the hands on activities. 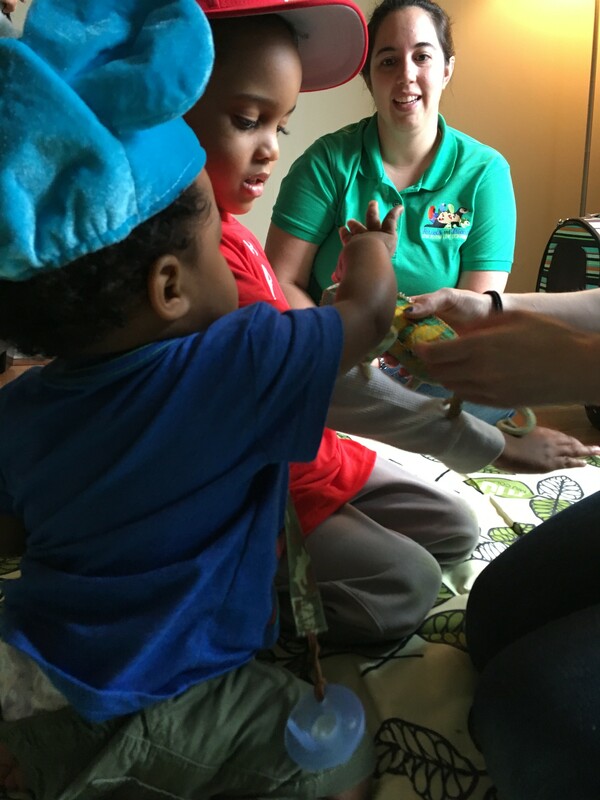 Our children love to touch and hold. The director loved being able to hold a snake (her favorite). We will definitely invite Ferret & Friends to come and join us again, sooner than later! Thanks again. Alex and Lina shared many exciting rain forest animals with our second graders. 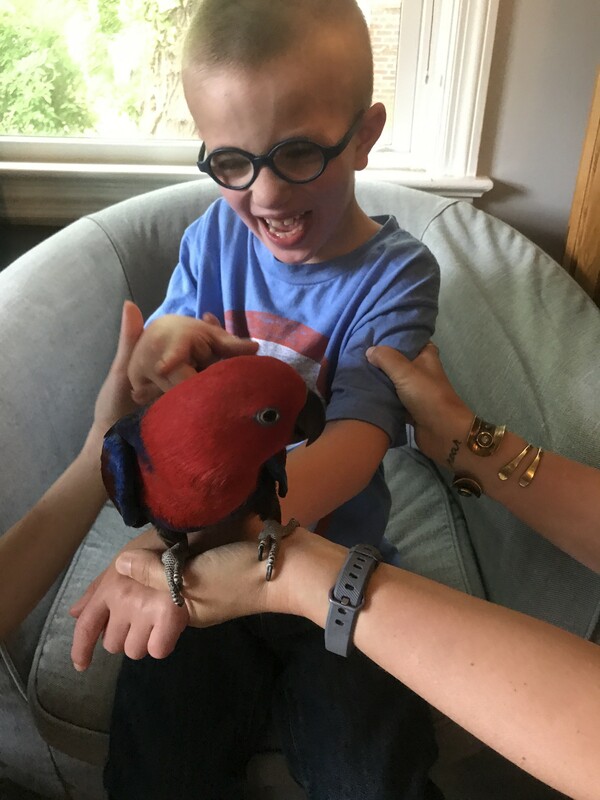 Our students were fascinated by the animals, and were so excited to be able to touch the animals. A few birds even landed on students' heads! This was such a great presentation and we will definitely invite Ferrets and Friends to our school next year. Thank you so much for your glowing review! We look forward to coming back next year. Thanks again! My daughter absolutely loved the reptile/dinosaur show and so did the entire party (both children and adults) . I will definitely recommend ferrets and friends to anyone looking for a fun and different kind of show. 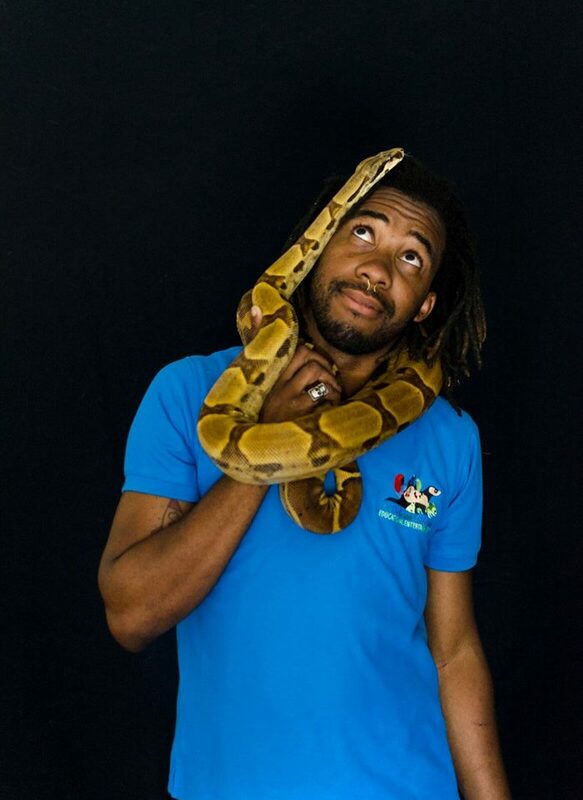 Most shows typically include at least two ferrets, one bird, two lizards, one snake, and an amphibian. A full list of available animals is on the website. 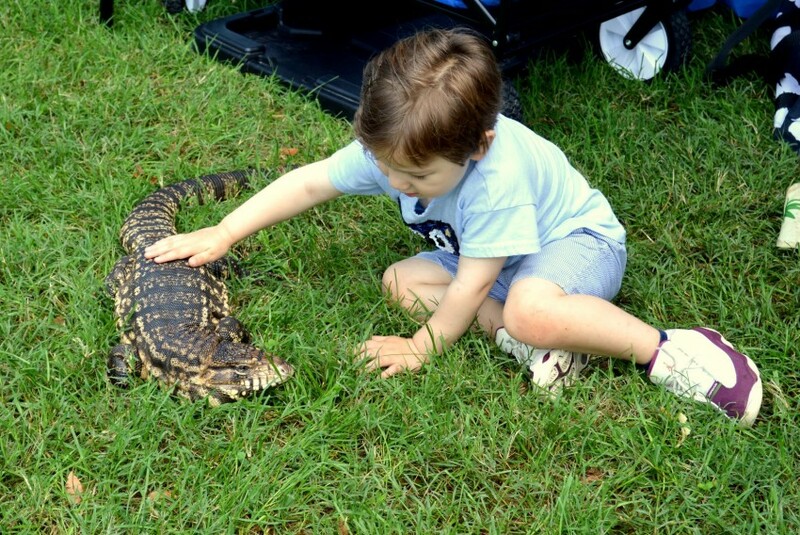 Guests have the opportunity to pet most animals and hold a few of the animals. Most shows are 30 minutes to 40 minutes in length with the additional option of picture time or meet-and-greet. A blanket for the guests to sit around is provided, as well as hand sanitizer. A microphone is provided for larger events. 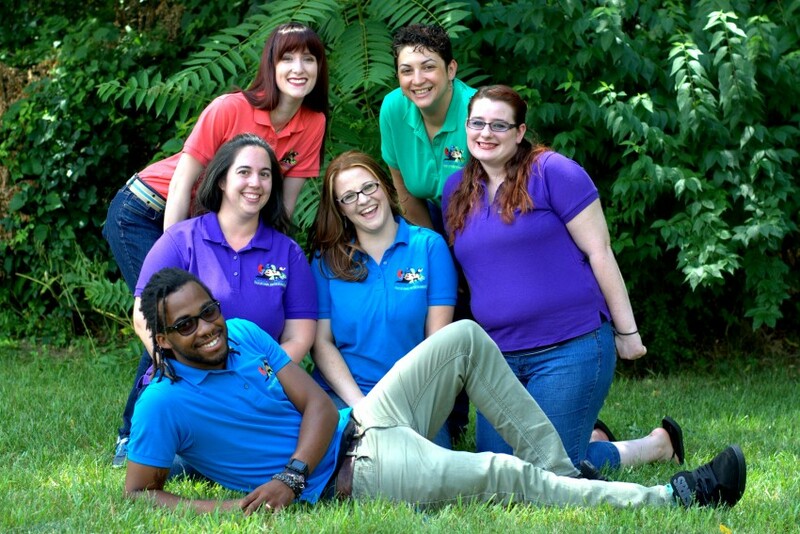 Ferrets and Friends, LLC was founded by a social worker who wanted to create educational programs that not only focus on educating people about animals and wildlife, but also about the importance of communication, body language, and respecting boundaries. Our shows are fun and interactive, captivating even the most distracted audience. We feel passionate about making our programs accessible to those who might not normally get to experience the diversity of life, so please ask about our special pricing for nonprofits and communities who works with people with disabilities, mental health concerns, or other special issues. While Indoor and Outdoor performances are available, indoor locations are encouraged. The birds are able to fly and certain animals do not like weather above 80 degrees. Therefore, outdoor events are more limited depending on weather.